The Beaumont Solo Professional Bar Optic is similar to the Solo Classical but instead of a push up spindle it has a long, push back lever. 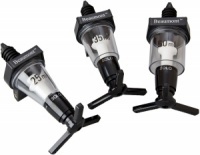 Its non-drip mechanism has a proven reliability in delivering an accurate smooth dispense action time and time again. 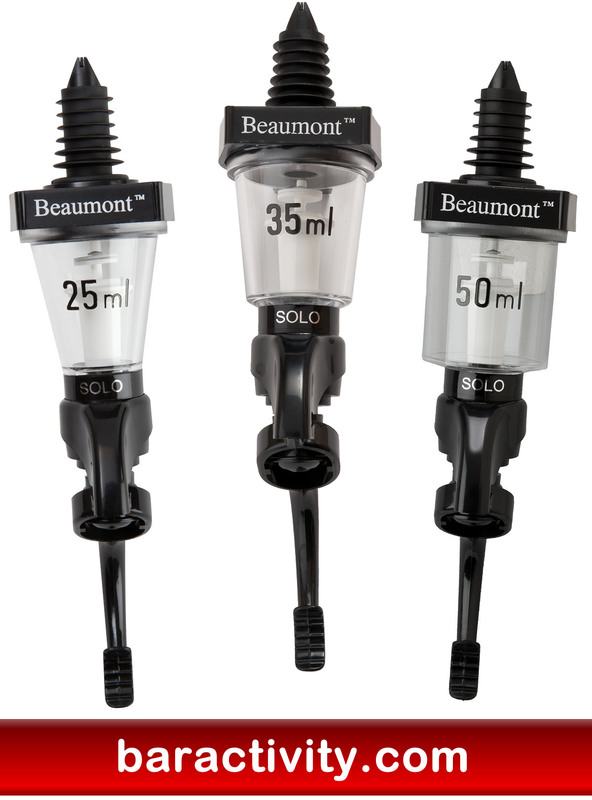 The Solo Professional optics are available in 25ml, 35ml, 50ml volumes and are government stamped for use in the UK with the prescribed spirits – whisky, gin, vodka and rum. 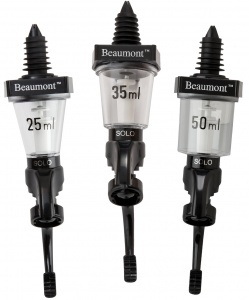 To operate these optic drinks dispensers, simply place into your bottle using the correct sized optic cork and then press the long lever back with the glass to dispense the measure. A measure (25ml, 35ml or 50ml) is then poured by pressing a glass against the trigger mechanism which may be either a push back lever or a push up spindle. The Solo Professional Bar Optic Spirit Measure on this page features a push back trigger so the glass must be placed against the lever arm and pushed back to activate the pour. 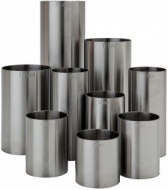 Wholesale and bulk buy discounts may be available on these bar optics subject to your required quantity. Please call us to enquire.